Breakfast at Craigbank is served in the Conservatory between 8.00 am and 8.30 am. 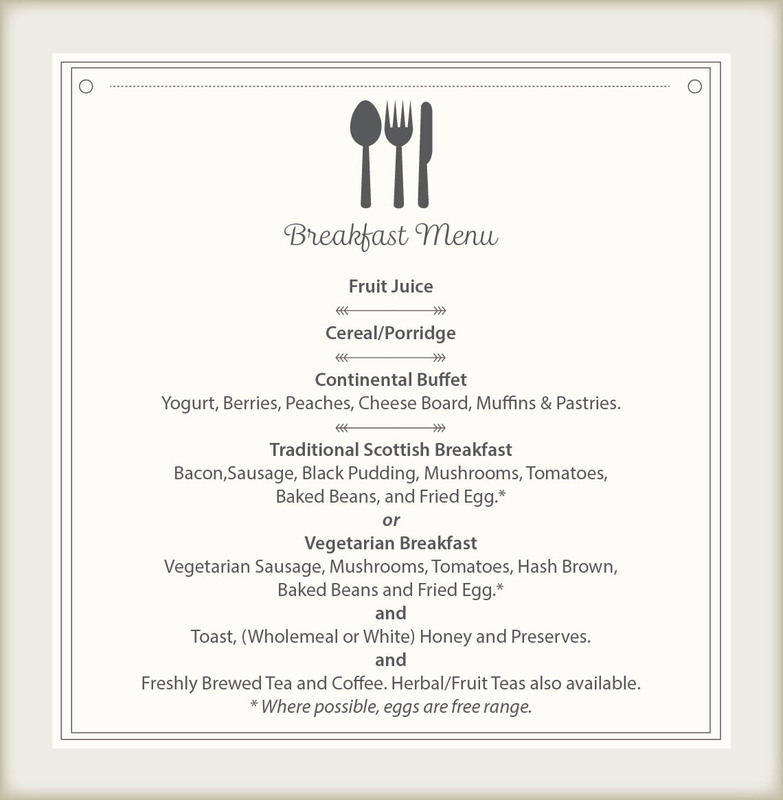 Breakfast includes our Continental buffet, a choice of Traditional Scottish breakfast and a Vegetarian Option. The traditional Scottish breakfast includes bacon, sausage, black pudding, mushrooms, tomato, baked beans and fried egg. Our Continental Buffet includes : Yogurt, Berries, Peaches,Cheese Board, Cereal, Fruit Juice, Muffins and Pastries. Our Traditional Scottish Breakfast includes :Bacon, Sausage, Black Pudding, Mushrooms, Tomato, Baked Beans and Fried Egg. Our Vegetarian Option includes : Vegetarian Sausage, Mushrooms, Tomato, Hash Browns,Baked Beans and Fried Egg. All Breakfasts include Wholemeal or White Toast, Honey and Preserves, Freshly Brewed Tea and Coffee (Herbal/Fruit Teas also Available).